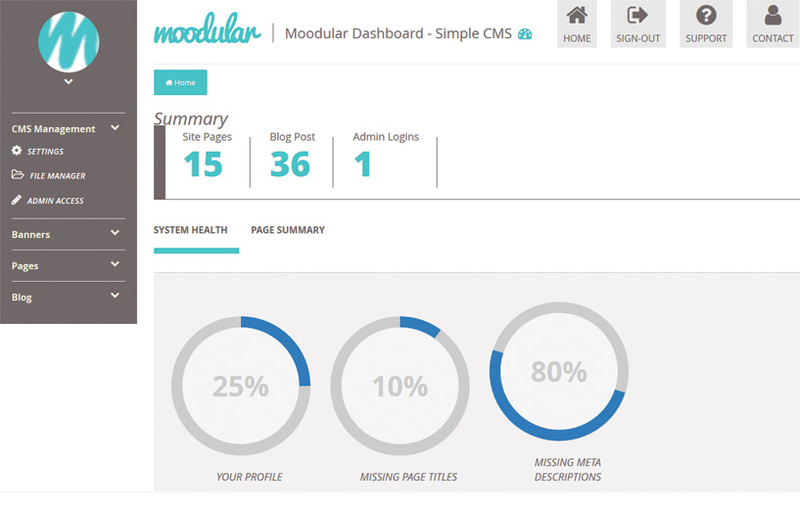 Simple CMS management with Moodular Do you have an existing website, but cannot update the site because it’s so complicated to use? Then Moodular could be for you. Why waste time with another CMS that isn’t working for you and could potentially be causing you distraction and wasted time that’s better served in your business. Moodular is our own content management system for your website which has been developed over many years and is developed in a way to make things easy and flexible to adapt, hence the word “Moodular” as its developed so we can easily add and remove Modules from the CMS depending what you need the site to do. Affordable Want to know more? If you like what you see, why not consider a new bespoke website at a low cost with the Moodular System integrated. Speak to us today either via email at hello@e-techuk.com or by calling us at 0845 303 9394.